Inflammation is one of the amazing automatic responses that our bodies muster when infections or injuries are trying to cause harm. When something as small as a sliver of wood enters the body, the body immediately releases chemicals that trigger action from the immune system. The immune system will release antibodies and proteins and increase blood flow to the area. The area around the splinter may swell, turn red and hurt. This is a sign that the body is doing its job. The inflammatory mediators that are released help carry more fluid filled with defense cells to the affected area causing the swelling. There are many things that trigger this response in the body, according to the National Institutes of Health. Some of the most common are pathogens like bacteria, viruses or fungi. External injuries like scrapes and certain chemicals or radiation may also cause inflammation to occur. There are several diseases that cause inflammation. These diseases usually end with “itis” and include bronchitis, dermatitis and cystitis. Common visible signs of inflammation are redness and swelling. The inflamed area might also be warm to the touch and painful. There can also be a loss of function if the body part is too swollen to perform properly. Is inflammation always a good outcome? When inflammation continues for a long period of time keeping the body on a constant state of alert, it can have a negative impact on tissues and organs. This long period of inflammation is known as chronic inflammation. In certain diseases, the immune system fights against the body by mistake bringing on chronic inflammation. Rheumatoid arthritis is one example of a chronic disease with chronic inflammation. Joints throughout the entire body are permanently inflamed with rheumatoid arthritis. 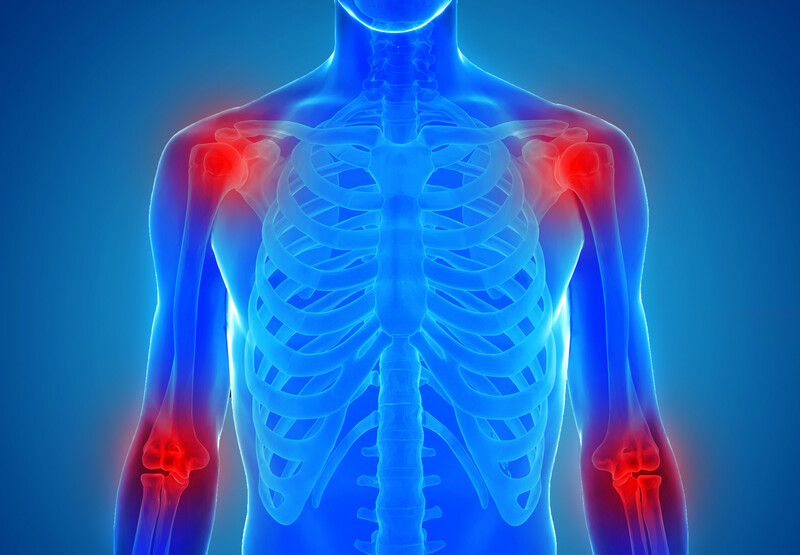 The signs for chronic inflammation are harder to detect. Some of these symptoms include a feeling of being tired, fever, mouth sores, rashes, abdominal pain or chest pain. The symptoms can go from mild to severe and continue for months or years. Because the symptoms fluctuate, they can be overlooked. Because each person reacts differently to infections and injuries, it is difficult to come up with causes. However, untreated acute inflammation can turn into chronic inflammation. Autoimmune disorders are believed to be another cause of chronic inflammation. Exposure to pollution or industrial chemicals have also been linked to chronic inflammation. There also several lifestyle factors that seem to increase the possibility of developing chronic inflammation including smoking, being overweight, drinking too much alcohol or being under excessive stress. When untreated, inflammation begins to damage healthy cells, tissues and organs. Over time, this leads to DNA damage, tissue death and internal scarring. When inflammation is chronic, attempts are made to manage it before damage occurs. One method is to take nonsteroidal anti-inflammatory drugs like naproxen. Some doctors prescribe steroids which carry some risks and need to be used carefully. Some people have success with supplements like fish oil or lipoic acid. Some foods have been found to have anti-inflammatory properties. Foods that are high in antioxidants and polyphenols including olive oil, leafy greens, tomatoes, fatty fish like salmon, nuts and fruits have been found to be effective in reducing inflammation. Foods that increase inflammation risk include white bread, fried foods, red meat and processed meats and should be avoided. After a medical event, it is important to get effective care during the time of recovery. Controlling inflammation so that it does not become chronic should be part of a recovery plan. Instead of hoping that all goes well, many people wisely choose to recover in a short-term rehabilitation center where all medical issues are carefully monitored and controlled. Whitehall of Deerfield has earned a reputation for exceptional short-term care. The center has consistently been given Medicare’s highest rating in its five-star quality rating system of rehabilitation facilities and is accredited by The Joint Commission, the nation’s leading and most respected health care accrediting authority. Quality care has always been and continues to be a priority at Whitehall of Deerfield. When it comes to expertise, Whitehall of Deerfield offers superior post-hospital rehabilitation services. A clinical nurse liaison works with each guest to design a personalized plan of service. One-on-one therapy, delivered by experienced therapists, is available seven days a week in multiple specialized gyms, which allows each guest to get the services needed from experienced therapists. There are few competitors than can match Whitehall of Deerfield’s ability to pamper their guests. Well-appointed rooms feature many amenities including high-speed wireless Internet, daily delivery of Starbucks coffee and newspaper, concierge service, dozens of cable channels with a 24-hour channel of newly released movies and in-room dining where guests scan enjoy a wide array of cuisine. Guests can also enjoy a complimentary ice cream parlor with gourmet coffee and fresh baked goods. Whitehall of Deerfield also offers valet parking for visitors. See for yourself if a short-term stay at Whitehall of Deerfield answers all your needs by requesting a private tour. To learn more or schedule a tour, visit whitehallofdeerfield.comor call 847-945-4600.